I'm Sacrilege and I'm the owner and builder of Dawnbase. I built this site as an Infinite Crisis fan because I wanted to have a great resource to refer to and get better at the game with. I add things that I, as an IC player, love and enjoy — I hope that you do too. Got any ideas for the site? 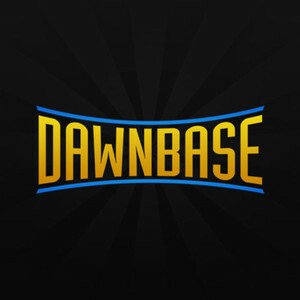 Shoot me a PM, or tweet @dawnbasecom with your ideas. I'd love to hear them! Feel free to add me in game; I play as Sacrilege on the NA server. No new stuff to datamine unfortunately; this was just a bug fixing patch, the only changes to any champion was with the Doomsday fix... nothing exciting was added to the client. If you find the items have changed in game, you really should submit a correction. That's what the feature is there for, guys! Seriously! Things potentially in this patch besides Arcane GL are possible new consumable items (some kinda of red potion/elixir, and some orb; one may be similar to an Oracle's from League), champion rebalancing, and there have been talks about the removal or reworking of Gaslight Catwoman's X-Ray, but I don't see that coming anytime soon (if at all). Updated the article slightly given information direct from Turbine: Draft mode will be an option for custom games and not it's own option for normal queues, which will remain blind pick.